This nation is in Vacation Mode for the next 975 turns. This nation cannot be attacked or traded with during that time. Greatest Nation of All Time Land of the Rising Sun is a nation led by Sparkles4Life AFK369 on the continent of Africa. Greatest Nation of All Time Land of the Rising Sun's government is a Social Democracy with very moderate social policies. Economically, Greatest Nation of All Time Land of the Rising Sun favors moderate policies. The official currency of Greatest Nation of All Time Land of the Rising Sun is the Dollar. At 332 days old, Greatest Nation of All Time Land of the Rising Sun is an old nation. 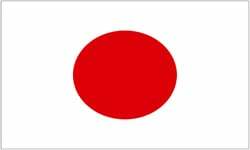 Greatest Nation of All Time Land of the Rising Sun has a population of 492,479 and a land area of 26,140.00 sq. miles. This gives it a national average population density of 18.84. Pollution in the nation is evident. The citizens' faith in the government is completely depleted with an approval rating of 0%. 04/15 12:50 am - Courier Six removed AFK369 from the alliance Guardians of the Galaxy.